‍Today, many of your customers expect to know the exact location and ETA of your garage door technician. 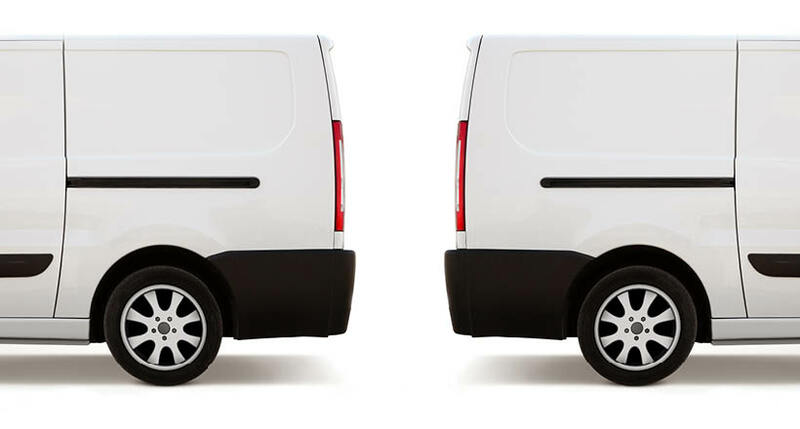 Many door dealers are meeting that need by using GPS tracking solutions. A good example is Kitsap Garage Door of Kitsap County, Wash., which uses GPS tracking to not only provide accurate ETAs to customers, but also to improve the bottom line by boosting field employee productivity. Kitsap Garage Door’s first attempt to use a GPS system did not go as smoothly as planned. Its first system required expensive GPS hardware and hard-to-schedule installation, and it had high recurring monthly costs. To top it all off, the system was not accurate when it came to vehicle location, idling times, and actual fuel used. John Ramer, president, then looked for a system that was easy to install, easy to use, and provided information beyond what a GPS-only system could offer. ‍Ramer’s research led him to Azuga, a GPS tracking system that could easily plug in to a vehicle’s OBD-II port (On-Board Diagnostics). He says this system provides “beyond GPS” information, such as the amount of fuel used, speeding duration, hard braking, sudden acceleration, and accurate idling data. Within a day of receiving the Azuga OBD-II port devices, Kitsap Garage Door was up and running. Ramer could install the units himself instead of dealing with the timeconsuming process of ripping out the dash and running wires, as was the case with the old GPS system. The FleetMobile app lets you see a driver’s score for driving efficiency. 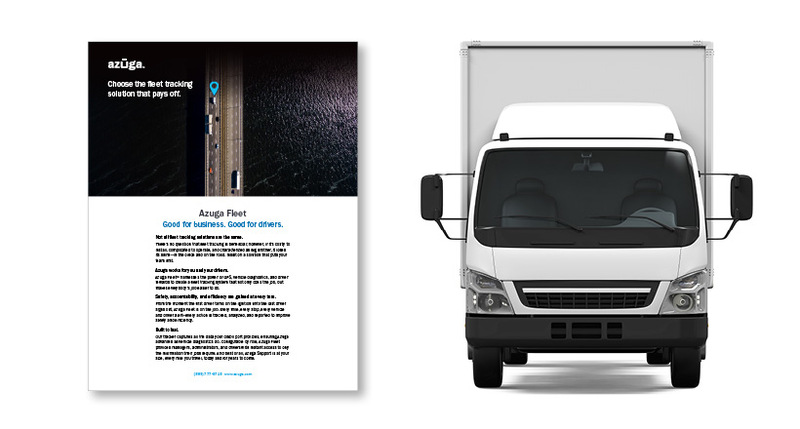 After implementing Azuga’s fleet tracking system, Kitsap was able to quickly locate drivers in real time and provide reliable ETAs to customers, resulting in positive online reviews and increased customer referrals. Fuel-wasting activities such as idling are now monitored through system alerts and can now be addressed in real time. While examining fuel usage across the entire fleet, Ramer can also use the information to schedule tune-ups and other preventive maintenance services. This allows a data-driven approach to vehicle health, which is more efficient than a manual schedule. ‍Improving vehicle performance and reducing the amount of fuel used has helped Kitsap proceed with a ‘Go Green’ program that helps the company stand out from its competitors. 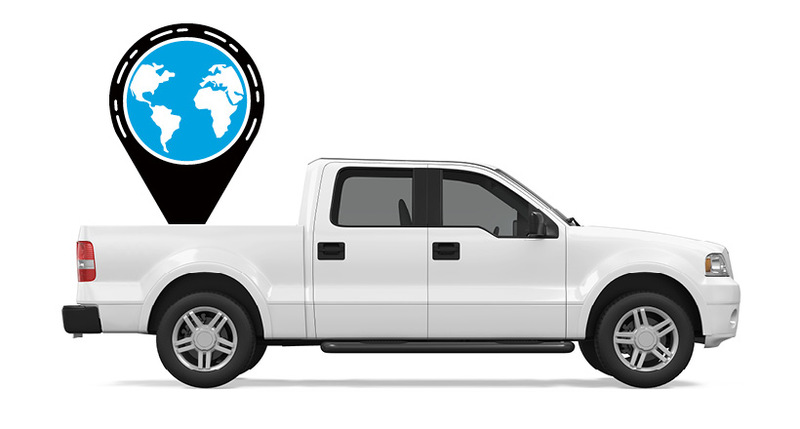 ‍‍The GPS tracking device is typically installed under the truck’s dashboard in the OBD-II port. This program appeals to customers who are just as concerned about a company’s environmental footprint as they are with services available to them. The system has also improved employee satisfaction. The GPS “when/where” data can be input into QuickBooks Payroll, which helps validate driver time cards. Employees get paid faster and more accurately, and the process of completing payroll now takes less time. ‍‍Kitsap is also using Azuga’s driver behavior and vehicle health data to implement a Driver of the Month program to recognize drivers with the least amount of speeding, hard braking, sudden starts, and idling. Kitsap’s big kiosk conveniently displays the location of all their trucks. Overall, the implementation of a comprehensive GPS telematics platform can lead to opportunities to increase salaries, give out bonuses, and create incentives for employees. The lesson? Today’s GPS systems can go far beyond knowing a truck’s location. They can help a door or gate business become more efficient and more profitable.